Standing out in a sea of gorgeous people is the most challenging part of being a fashionista. Mastering the art is even harder. 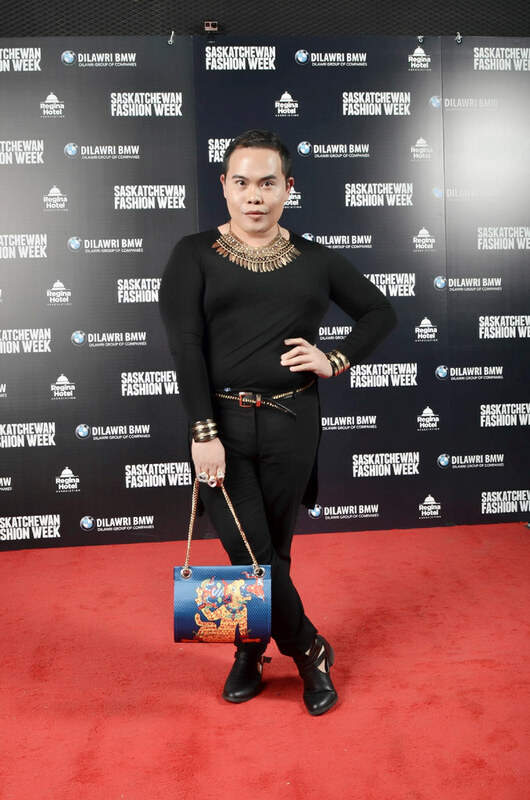 I'd say a lot of planning with a touch of pixie dust got me a mention on the newspaper after stealing the scene at the three-day Saskatchewan Fashion Week 2016. Thanks to the very observant lifestyle columnist, Irene Seiberling of the Leader Post. But don't fret anymore, because I came up with a list of tips to make you the person that subtly gets the attention without screaming for it. The goal is to elegantly stand out! 1. Choose a statement piece on your wardrobe. In an outfit, always make sure that you're wearing something that is going to be a conversation starter. Make sure that you have a unique piece. It does not have to be new. It would be even nice if you get it from your Mom's closet. Do ask permission though! 2. Take mirror-selfies and EDIT! EDIT! EDIT! Not all outfits are created equal. Some outfits may look nice on your favourite celebrity but might look a little off when worn by you. Let's accept it. Most celebrities have experienced stylists do the arduous task of thinking which outfits work for them. So make sure, that you have tried it on in front of the mirror a number times. And don't be afraid to ask your most stylish friend or maybe ask me - I am your friend! 3. Know which parts to conceal and which parts to flaunt. If you feel comfortable and confident showing-off your shoulders and your arms, then wear something that flaunts it. If your legs are your best asset then wear a shorter skirt or shorts. I hope by now, you have figured that out. If not, then look at yourself in the mirror and do some poses. I'm sure your friends have told you at some point that they wish they had your slender arms. I believe that you don't have to expose all your best assets. Choose one. Expose your arms or your legs. Skin attracts attention! So let the attention go to the best parts of your body. 4. Practice putting on make-up weeks before the event. 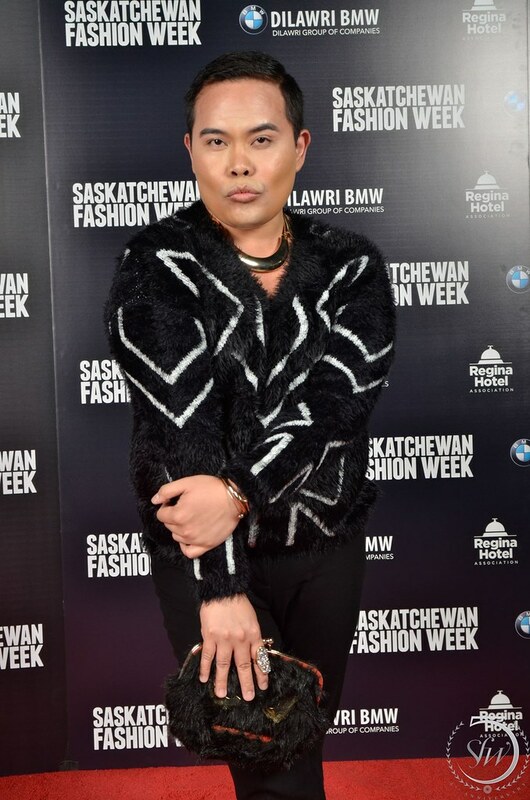 You might find it funny, but I did practice putting on make-up weeks before the Saskatchewan Fashion Week. It sure was not perfect the first time but I learned from it. Practice makes perfect! It sure costs a lot to have someone do it for you. When you get a professional make-up artist do it, make sure that you ask the person to try it on you! They have the tendency to put too much. Plus its always nice to discuss with your make-up artist the look that you want to achieve for the event. 5. Black is everything and let the accessories do the magic! If all outfit ideas don't work, choose a simple black ensemble. Black is always elegant. The trick is to put on accessories that get the right amount of attention. When it comes to accessories, my golden rule is "The bigger - the bettter!" 6. Be comfortable in your own body! Smile to people and feel fabulous. If you don't believe that you have the best outfit then it will translate to your body language. Stand straight and make your individuality shine through. Toronto is known for its cultural diversity but I guess that's most of what you can see in Canada. For me, Toronto is the real downtown of Canada. I finally found a city that actually speaks more of me - busy and beautiful! So here is a vlog chronicling my arrival in Toronto. Please subscribe to my YouTube channel - VitoriVita TV and don't forget to drop a comment! ​Thank you for watching! I hope you enjoyed it!